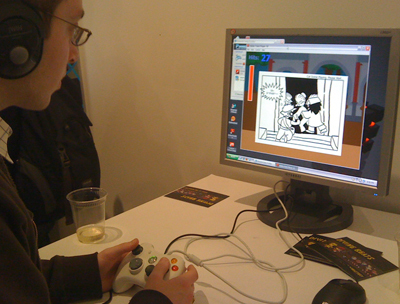 The Divine Beats series was a game design thesis I did back in Parsons, 2010. The concept surrounds exploring conventional aspects of music rhythm games, while experimenting how alterations of them can affect the gameplay experience, including player immersion and in-game narrative. 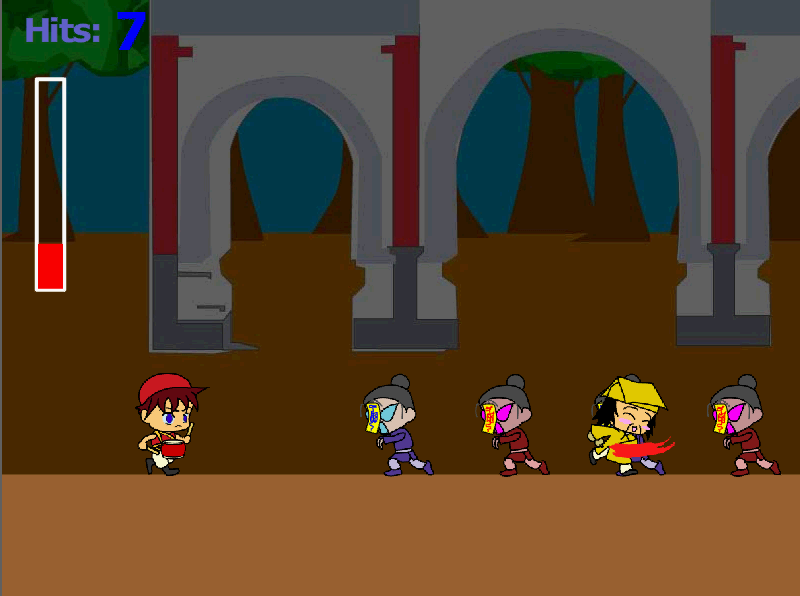 Based on the many roles which drums and percussion music have played in different cultures, several gameplay and stage ideas had sprung and been experimented with. In this scenario, the Drummer was traveling with a tavern, who settled at an abandoned monastery for the night. 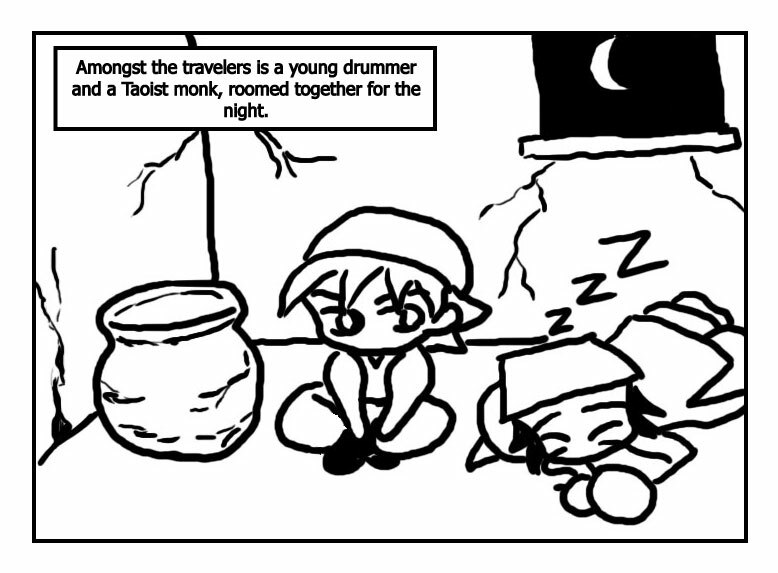 The monastery, as it turned out, was haunted, and the Drummer was to team up with a Monk to survive the hordes of possessed travelers. One aspect all music rhythm games have to tackle is the methods in which music games represents the music scores. The most common one is the Road-Trail representation, where the beat marks travel along a timeline as the music plays on, such as they do in the “Rockband” and “Taiko no Tatsujin” franchise. 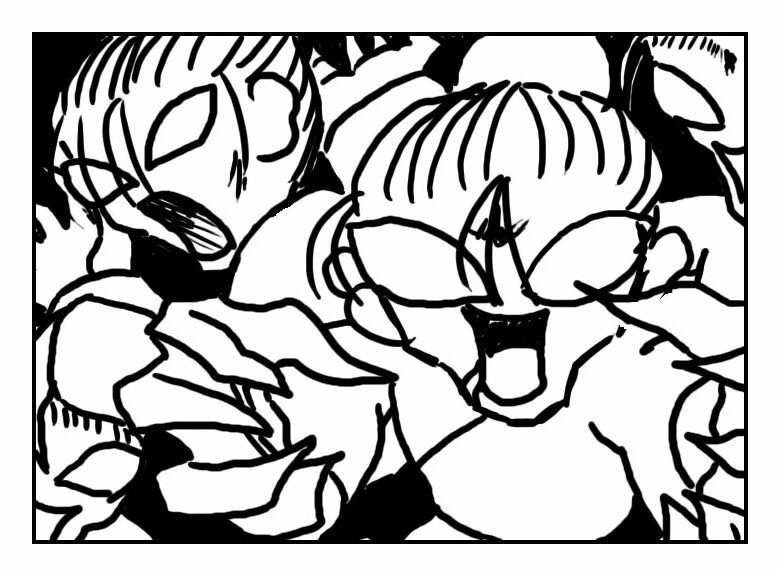 On the other hand, the Call-and-Response mechanic is applied in other music games such as “Parapa the Rapper” and the “Rhythm Heaven” series, where the players perform in a Simon-says fashion. This game will combine both these methods. Shown during the OneZero MFADT Thesis Symposium, May 2010. A Web-version Demo can be played here. 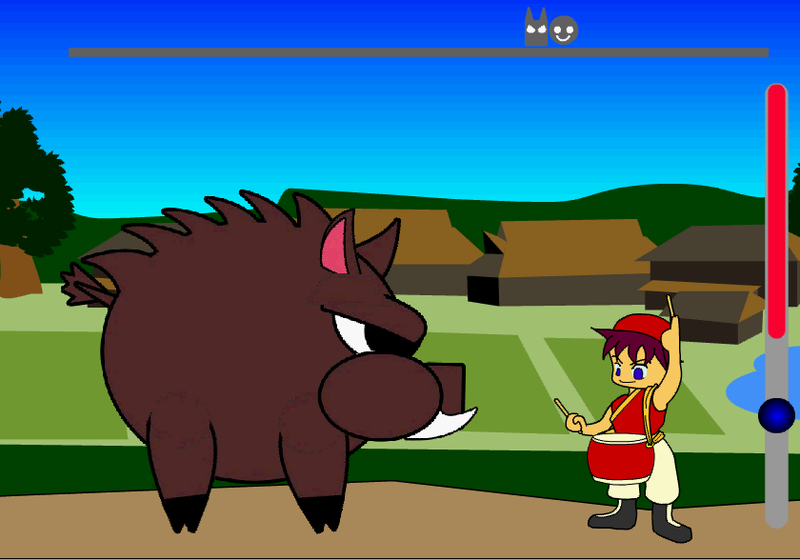 A Wild Boar invaded the village, and it’s up to our hero to drive off the beast with the clamor from his drum. 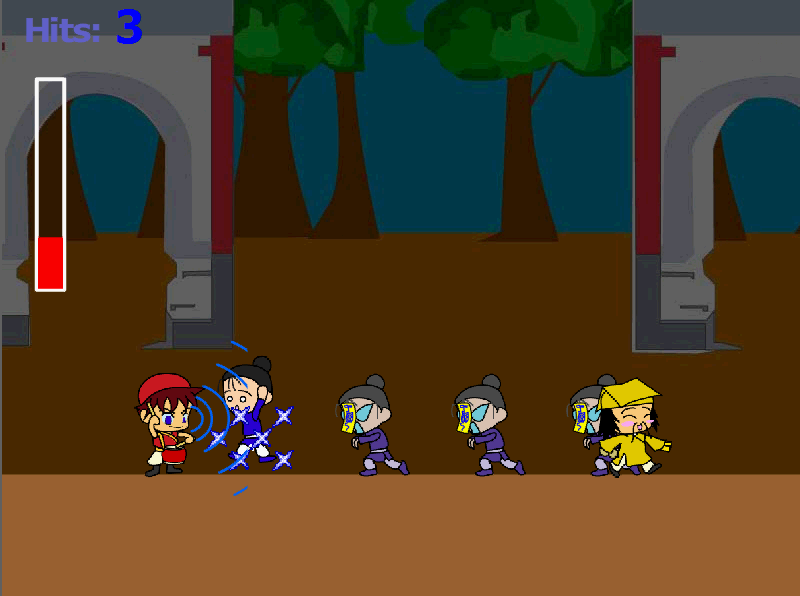 The gameplay itself is more like a tug-o-war mechanic, where the game is won with consistent input against the obstacle. 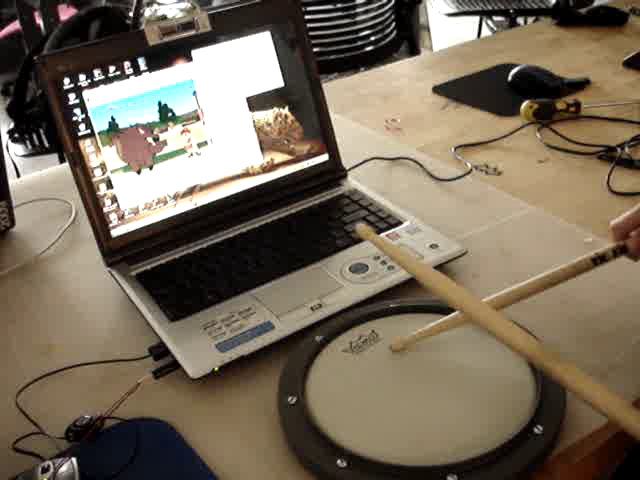 This prototype is where I attempted to facilitate a physical user interface for music rhythm games, namely, a drum controller that picks up on sound.